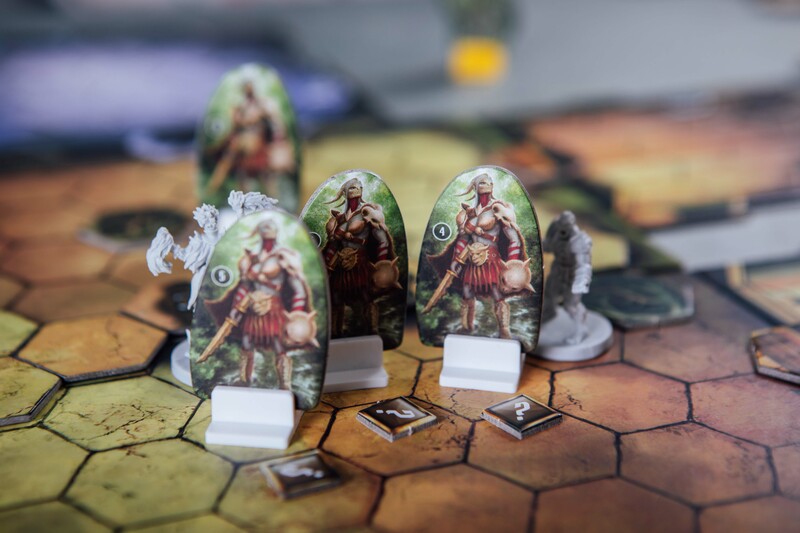 Gloomhaven’s third encounter, the Inox Encampment, lies before us. On the map, at least: our heroes have buggered off back to town with their ill-gotten gains. Three encounters in already! We can’t believe how fast we’re ploughing through this! At this rate we’ll have completed the game by [checks scenario booklet]… oh. Maybe by 2040. Oh well, on we go! Beer pairing: Ninkasi by Wild Beer Co.
Non-sequential but delicious beer picture and caption alert! Back in town, it’s time to splash the cash. Apparently the Cragheart’s playstyle of lumbering around like someone trying to make a cheese sandwich in an unfamiliar kitchen after a day of heavy drinking isn’t conducive to picking up much money. Accordingly, all he can do is watch as the Spellweaver goes on a shopping spree. First up is a trip to the temple to donate, and hope that those Bless cards are actually going to appear this time out. Next is the long-overdue purchase of an Invisibility Cloak, which goes some way to making up for not levelling up yet. Before they get on the road, our heroes, never ones to pass up an opportunity, jump straight into a… pie eating competition? Brilliant. The Cragheart wins out, earning some cash and a tidy little reputation boost for the party. Once all that pie settles (and it’s a lot of pie), we head out of town and on to the Inox Encampment. The trip out to the Inox Encampment is also surprisingly uneventful thanks to the Cragheart coming to the fore again. His affinity for all things stony gets us out of a travel encounter with ease, and we crack on. When we arrive (it’s surprisingly hard to find), the encampment looks peaceful. It’s all very domestic for a bunch of hard-bitten caravan raiders. We could be suspicious, but in the name of XP, decide to press on. Surely that slightly dodgy quest-giver back in town couldn’t have steered us wrong? We check our weapons and leap in. The mission is simple. Murder everything! Luckily, we’re confronted by a handful of willing victims who are unsurprisingly, Inox. What did you expect? The scenario is literally called ‘Inox Encampment’. 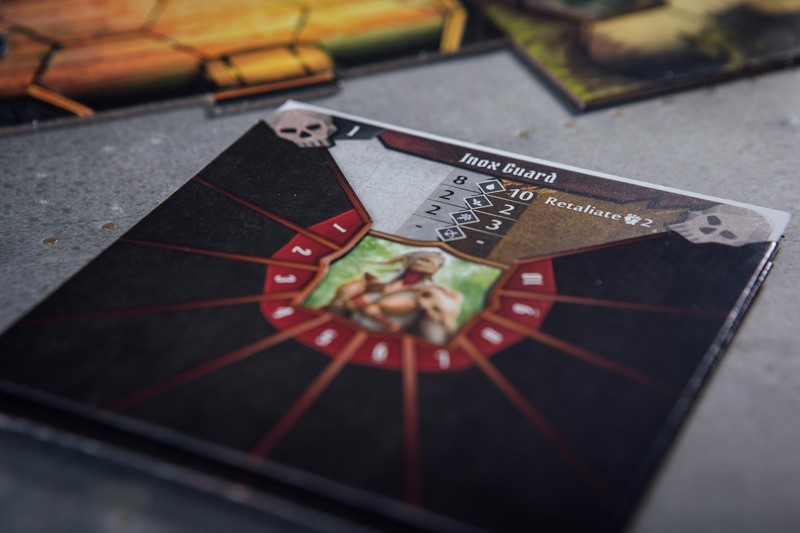 You can almost hear the groan as the Cragheart throws caution to the wind, searching his deck for a card that will let him go first. Somehow, he manages it, stepping forward to throwing a Massive Boulder at the assembled enemies. The Spellweaver wastes no time to bring her summons into the fray so it can stand between her and impending violence. In return, the Inox… stand there and don’t attack. Ah. Taking that as an invitation, both the Spellweaver and the Cragheart start trying to do some actual damage. 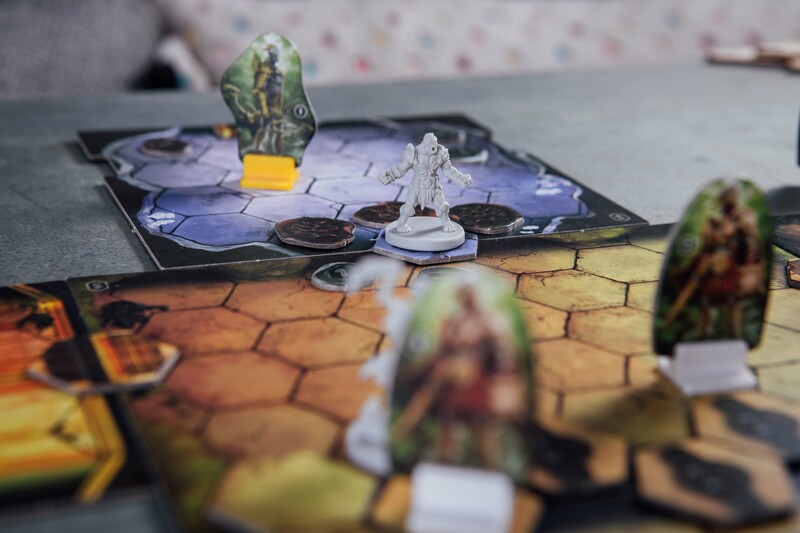 A volley of Mana Bolts from the Spellweaver softens one guard up enough for the Cragheart to get in close and finish the job with his Crushing Grasp. It’s on! 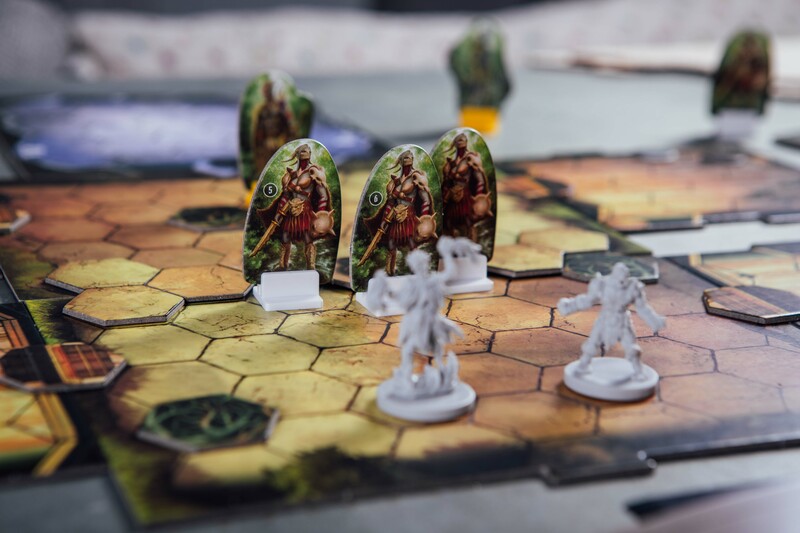 The Cragheart trades blows with the Inox Guards, tying up the melee fighters as the Spellweaver moves up to tackle the pesky archer and Inox Shaman at the back of the room, flinging Fire Bolts around with abandon. Fresh Inox slip in through the door at the back of the room as the battle rages, and that’s fine. 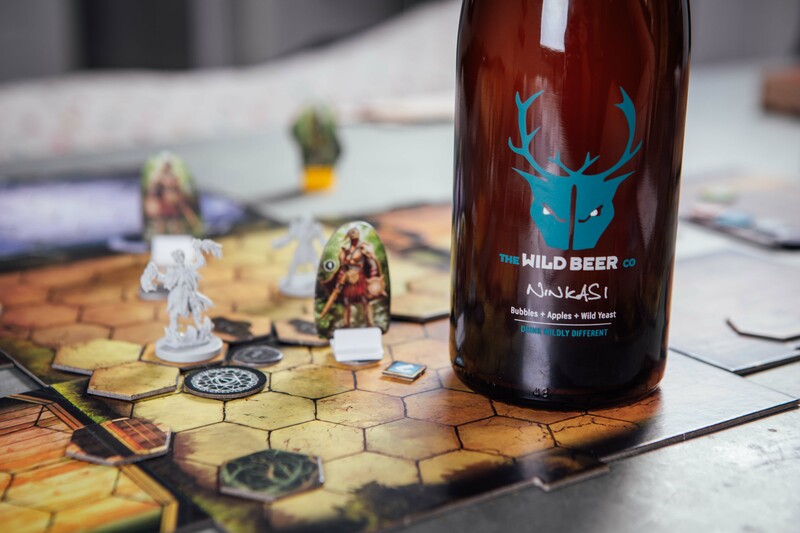 To our heroes, cackling wildy with battle madness, they are just more grist to the mill. Things take a darker turn as we read from the book to discover crying Inox children hiding from the people attacking their village…. Hold on. Are we the bad guys here? Would you credit it? Those Bless cards DID end up in the deck after all! Victorious but feeling decidedly sheepish, we book it out of there as fast as we can. Apparently that Inox Encampment full of vicious raiders was more of a town… and we’re trying to be nice mercenaries here! We’re now pretty sure that the person who sent us on this quest might be evil. So we have a choice now: we can carry on helping her machinations, or help the City Guard investigate further. 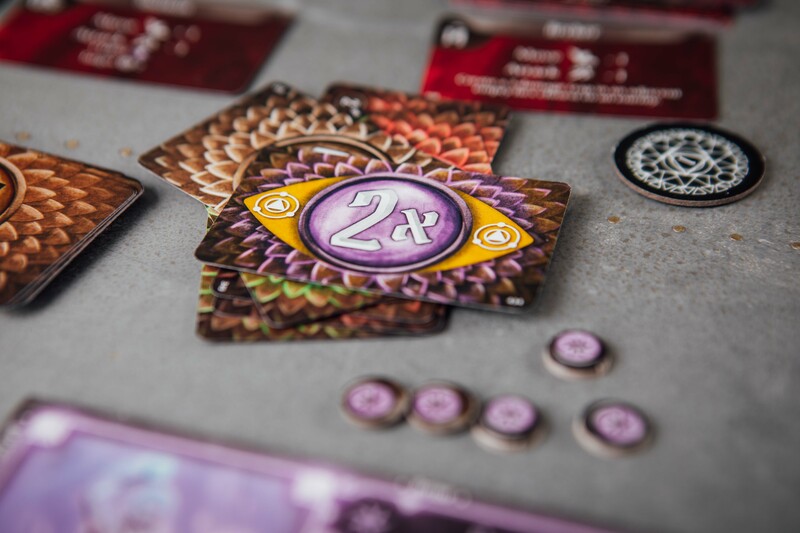 I’m trying to put together my first Gloomhaven blog … and it isn’t nearly as polished as yours – but now I have something at aspire to. Congrats on the great writing, great photos, great content! Here’s the link to my first three basic posts. Thanks Neal, glad you’re enjoying our work! Great work on your blog too, by the way – love the character combo and looking forward to following your adventure!